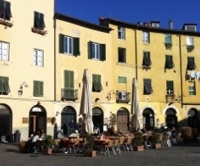 Lucca was founded on a flood plain that streches from the last foothills of the Tusco-Emilian Apennines to the northen uplands of Monte Pisano, not far from the river Serchio. This ancient noble city has a wealth of picturesque towers and churches of the time of the communes, Renaissance palaces, fascinating streets. 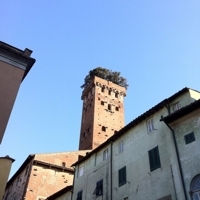 The oldest part of the city is enclosed in the circuit of walls which are still in good condition and which give the city its tipical aspect. In Roman times it was an important Municipium; the city then was taken by the Goths and subsequently by the Lombards, and Carolingians. In 1119 the city managed to became a free commune and its period of prosperity began. 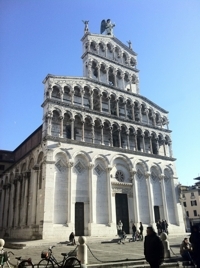 The Cathedral stands in Piazza S.Martino. it was built in the 12th century in Romanesque style, but was completely remodelled in the 14th and 15th centuries. 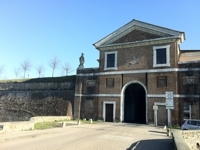 The interior has important works of art such as the famous Tomb of Ilaria del Carretto and the statue of St. John the Evangelist, both of Iacopo della Quercia, as well as works by Tintoretto, Civitali, Ghirlandaio. The Tresure of the Opera del Duomo, composed of a great number of religious objectsin gold and silver dating to the 14th-15th centuries,is situated inside the Complex. 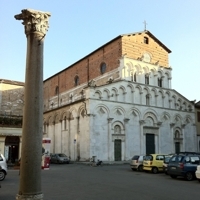 Not far off is the Baptistery , a small 14th century building with a square ground plan and a Ghotic dome; the Church of S. Giovanni (12th cent.) considerably modified in the 17 th century. The palazzo della Provincia an unfinished work by Ammannati. 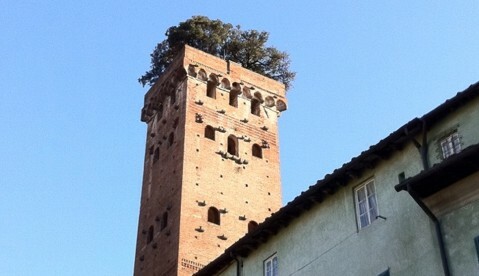 Palazzo Mansi (17th century) rises up in the Galli Tassi. It contains many magnificent richly –furnished rooms, including the lovely Camera degli sposi, an 18 century alcove with carving in Baroque style. 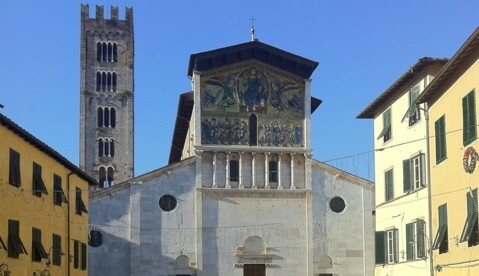 The Church of S. Paolino, with important 15th -16th century works. Not far off is the imposing Palazzo Pretorio begun in 1492 by Civitali, and the lovely Church of S. Michele in Foro (12th -14th cent. 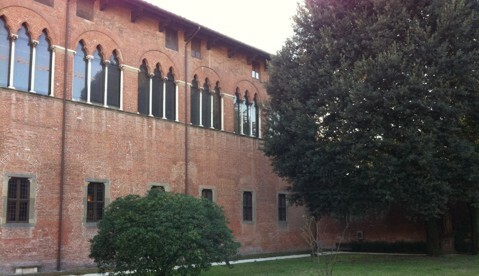 ), an example of pure Pisan – Luccan Romanesque architeture. 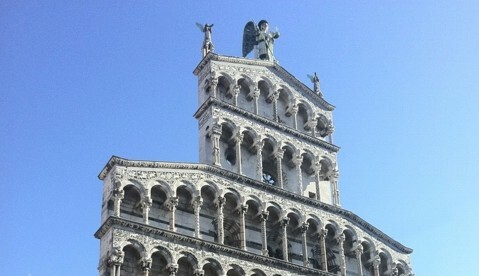 The splendid facade has four tiers of loggias and the tripartite interior has a perfectly round apse. 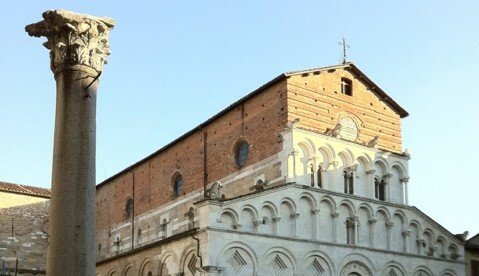 Another striking religious building is the Church of S. Frediano (12th-14th cent.) with a fine tripartite facade enhanced by a mosaic of the Ascension. 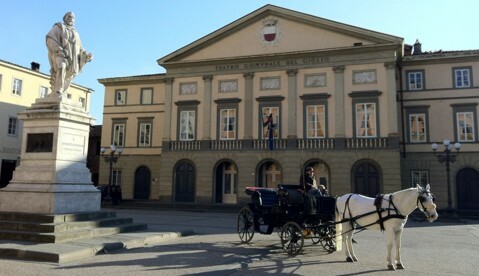 The piazza dell Anfiteatro lies right acroos from the church. It is characterized by the fact that it stands on the site of a Roman amphiteater of the second century A.D. The Church of S. Pietro Somaldi (13thcent.) 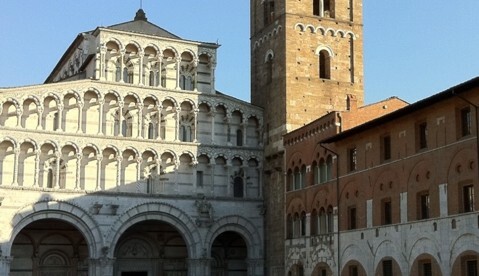 has a fine facade in Pisan Romanesque styleand a unique bell tower in brick. 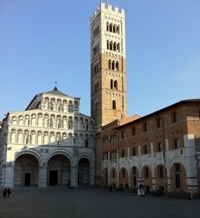 In Via S.Andrea you will find the Guinigi Tower, and nearby, the Church of S. Maria Forisportam (13th cent), a fine example of Pisan Romanesque with the essentially linear facade in Marble with arcading and loggias. 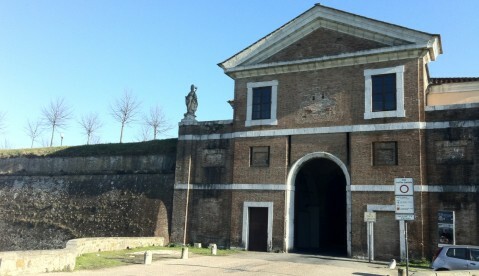 The lovely Villa Guinigi which houses the Museo Nazionale divided into two main sections: archeology (Etruscan, Roman, and ligurian material painting, sculptures, etc..) Lastly, the most fascinating feature of the city are its Walls, built between the 16th and 18th centuries. They continue for about 4.20 km, and are still completely viable.